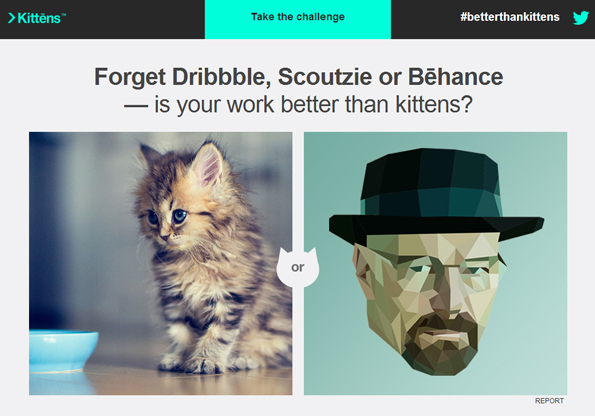 Is Your Work Better Than Kittens? We all know the internet is made for cat pics, but for some reason creative people still keep trying to use it to share their art and design projects. While your illustrations might be really well done and have taken your hours to complete, but it’s still no cat pic. 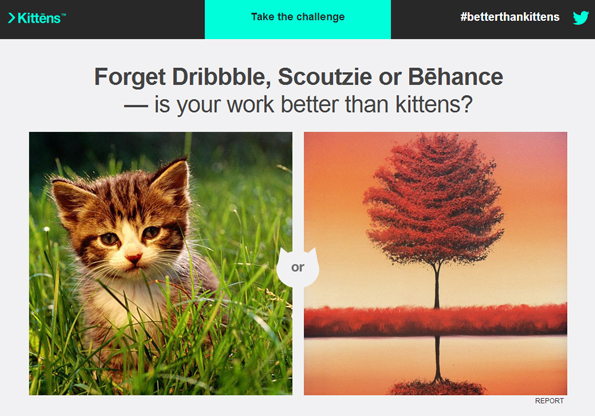 But if you think it’s actually better than kittens, you can put it to the test at BetterThanKittens.com. 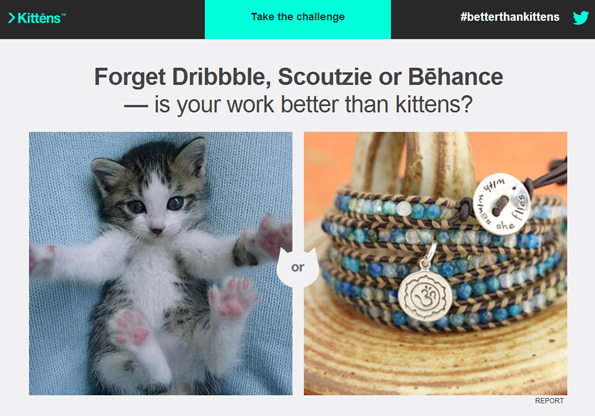 The site lets visitors vote between an adorable picture of a kitten or a cool piece of art that someone made. 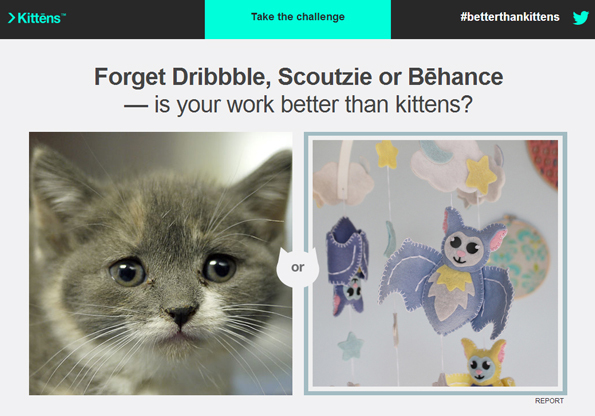 After you vote you can see who’s winning, kittens or art. 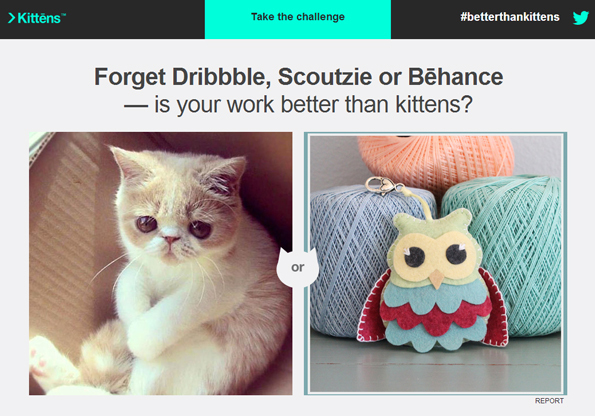 The answer is almost always kittens, but there are a few that made it into the hall of fame.